"Cunard" redirects here. For other uses, see Cunard (disambiguation). "British and North American Royal Mail Steam Packet Company" redirects here. For the different Royal Mail Steam Packet Company, later Royal Mail Lines, see Royal Mail Steam Packet Company. 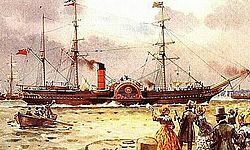 In 1839 Samuel Cunard, a Halifax, Nova Scotia, shipowner, was awarded the first British transatlantic steamship mail contract, and the next year formed the British and North American Royal Mail Steam-Packet Company together with Robert Napier, the famous Scottish steamship engine designer and builder, to operate the line's four pioneer paddle steamers on the Liverpool–Halifax–Boston route. For most of the next 30 years, Cunard held the Blue Riband for the fastest Atlantic voyage. However, in the 1870s Cunard fell behind its rivals, the White Star Line and the Inman Line. To meet this competition, in 1879 the firm was reorganised as the Cunard Steamship Company, Ltd, to raise capital. In 1902 White Star joined the American-owned International Mercantile Marine Co.. 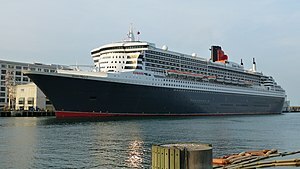 In response, the British Government provided Cunard with substantial loans and a subsidy to build two superliners needed to retain Britain’s competitive position. Mauretania held the Blue Riband from 1909 to 1929. The sinking of her running mate Lusitania in 1915 was one of the causes of the United States' entering the First World War. In 1919, Cunard relocated its British homeport from Liverpool to Southampton, to better cater for travellers from London[dead link]. In the late 1920s, Cunard faced new competition when the Germans, Italians and French built large prestige liners. Cunard was forced to suspend construction on its own new superliner because of the Great Depression. In 1934 the British Government offered Cunard loans to finish Queen Mary and to build a second ship, Queen Elizabeth, on the condition that Cunard merged with the then ailing White Star line to form Cunard-White Star Line. Cunard owned two-thirds of the new company. Cunard purchased White Star's share in 1947; the name reverted to the Cunard Line in 1950. Upon the end of the Second World War, Cunard regained its position as the largest Atlantic passenger line. By the mid-1950s, it operated 12 ships to the United States and Canada. After 1958, transatlantic passenger ships became increasingly unprofitable because of the introduction of jet airliners. Cunard undertook a brief foray into air travel via the "Cunard Eagle" and "BOAC Cunard" airlines, but withdrew from the airliner market in 1966. Cunard withdrew from its year-round service in 1968 to concentrate on cruising and summer transatlantic voyages for vacationers. The Queens were replaced by Queen Elizabeth 2 (QE2), which was designed for the dual role. Cunard, who was back in Halifax, unfortunately did not know of the tender until after the deadline. He returned to London and started negotiations with Admiral Parry, who was Cunard's good friend from when Parry was a young officer stationed in Halifax 20 years earlier. Cunard offered Parry a fortnightly service beginning in May 1840. While Cunard did not then own a steamship, he had been an investor in an earlier steamship venture, Royal William, and owned coal mines in Nova Scotia. Cunard's major backer was Robert Napier whose Robert Napier and Sons was the Royal Navy's supplier of steam engines. He also had the strong backing of Nova Scotian political leaders at the time when London needed to rebuild support in British North America after the rebellion. Europa of 1848 (1850 GRT). This is one of the earliest known photos of an Atlantic steamship. In May 1840 the coastal paddle steamer Unicorn made the company's first voyage to Halifax to begin the supplementary service to Montreal. Two months later the first of the four ocean-going steamers of the Britannia Class, departed Liverpool. By coincidence, the steamer’s departure had patriotic significance on both sides of the Atlantic: she was named the Britannia, and sailed on 4 July. Even on her maiden voyage, however, her performance indicated that the new era she heralded would be much more beneficial for Britain than the US. At a time when the typical packet ship might take several weeks to cross the Atlantic, the Britannia reached Halifax in 12 days and 10 hours, averaging 8.5 knots (15.7 km/h), before proceeding to Boston. Such relatively brisk crossings quickly became the norm for the Cunard Line: during 1840–41, mean Liverpool–Halifax times for the quartet were 13 days 6 hours to Halifax and 11 days 4 hours homeward. Two larger ships were quickly ordered, one to replace the Columbia, which sank at Seal Island, Nova Scotia, in 1843 without loss of life. By 1845, steamship lines led by Cunard carried more saloon passengers than the sailing packets. Three years later, the British Government increased the annual subsidy to £156,000 so that Cunard could double its frequency. Four additional wooden paddlers were ordered and alternate sailings were direct to New York instead of the Halifax–Boston route. The sailing packet lines were now reduced to the immigrant trade. From the beginning Cunard's ships used the line's distinctive red funnel with two or three narrow black bands and black top. It appears that Robert Napier was responsible for this feature. His shipyard in Glasgow used this combination previously in 1830 on Thomas Assheton Smith's private steam yacht "Menai". The renovation of her model by Glasgow Museum of Transport revealed that she had vermilion funnels with black bands and black top. In 1850 the American Collins Line and the British Inman Line started new Atlantic steamship services. The American Government supplied Collins with a large annual subsidy to operate four wooden paddlers that were superior to Cunard's best, as they demonstrated with three Blue Riband-winning voyages between 1850 and 1854. Meanwhile, Inman showed that iron-hulled, screw propelled steamers of modest speed could be profitable without subsidy. Inman also became the first steamship line to carry steerage passengers. Both of the newcomers suffered major disasters in 1854. The next year, Cunard put pressure on Collins by commissioning its first iron-hulled paddler, Persia. That pressure may well have been a factor in a second major disaster suffered by the Collins Line, the loss of its steamer Pacific. The Pacific sailed out of Liverpool just a few days before the Persia was due to depart on her maiden voyage, and was never seen again; it was widely assumed at the time that the captain had pushed his ship to the limit in order to stay ahead of the new Cunarder, and had likely collided with an iceberg during what was a particularly severe winter in the North Atlantic. 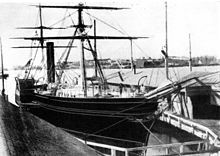 A few months later the Persia inflicted a further blow to the Collins Line, regaining the Blue Riband with a Liverpool–New York voyage of 9 days 16 hours, averaging 13.11 knots (24.28 km/h). When Cunard died in 1865, the equally conservative Charles MacIver assumed Cunard's role. The firm retained its reluctance about change and was overtaken by competitors that more quickly adopted new technology. In 1866 Inman started to build screw propelled express liners that matched Cunard's premier unit, the Scotia. Cunard responded with its first high speed screw propellered steamer, Russia which was followed by two larger editions. In 1871 both companies faced a new rival when the White Star Line commissioned the Oceanic and her five sisters. The new White Star record-breakers were especially economical because of their use of compound engines. White Star also set new standards for comfort by placing the dining saloon midships and doubling the size of cabins. Inman rebuilt its express fleet to the new standard, but Cunard lagged behind both of its rivals. Throughout the 1870s Cunard passage times were longer than either White Star or Inman. 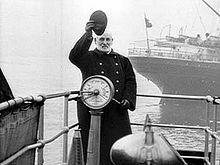 A captain waves aboard a Cunard Line vessel in this picture taken in 1901. 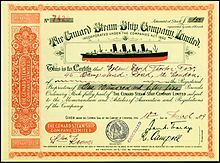 To raise additional capital, in 1879 the privately held British and North American Royal Mail Steam Packet Company was reorganised as a public stock corporation, the Cunard Steamship Company, Ltd. Under Cunard's new chairman, John Burns (1839–1900), son of one of the firm's original founders, Cunard commissioned four steel-hulled express liners beginning with Servia of 1881, the first passenger liner with electric lighting throughout. In 1884, Cunard purchased the almost new Blue Riband winner Oregon from the Guion Line when that firm defaulted on payments to the shipyard. That year, Cunard also commissioned the record-breakers Umbria and Etruria capable of 19.5 knots (36.1 km/h). Starting in 1887, Cunard's newly won leadership on the North Atlantic was threatened when Inman and then White Star responded with twin screw record-breakers. In 1893 Cunard countered with two even faster Blue Riband winners, Campania and Lucania, capable of 21.8 knots (40.4 km/h). British prestige was at stake. The British Government provided Cunard with an annual subsidy of £150,000 plus a low interest loan of £2.5 million (equivalent to £264 million in 2018), to pay for the construction of the two superliners, the Blue Riband winners Lusitania and Mauretania, capable of 26.0 knots (48.2 km/h). In 1903 the firm started a Fiume–New York service with calls at Italian ports and Gibraltar. The next year Cunard commissioned two ships to compete directly with the Celtic-class liners on the secondary Liverpool–New York route. In 1911 Cunard entered the St Lawrence trade by purchasing the Thompson line, and absorbed the Royal line five years later. RMS Carpathia of 1903 (13,555 GRT) became famous for rescuing the survivors of the sinking of the RMS Titanic. Aquitania of 1914 (45,650 GRT) served in both World Wars. Cunard attempted to address the challenge presented by jet airliners by diversifying its business into air travel. In March 1960, Cunard bought a 60% shareholding in British Eagle, an independent (non-government owned) airline, for £30 million, and changed its name to Cunard Eagle Airways. The support from this new shareholder enabled Cunard Eagle to become the first British independent airline to operate pure jet airliners, as a result of a £6 million order for two new Boeing 707–420 passenger aircraft. The order had been placed (including an option on a third aircraft) in expectation of being granted traffic rights for transatlantic scheduled services. The airline took delivery of its first Bristol Britannia aircraft on 5 April 1960 (on lease from Cubana). Cunard hoped to capture a significant share of the 1 million people that crossed the Atlantic by air in 1960. This was the first time more passengers chose to make their transatlantic crossing by air than sea. In June 1961, Cunard Eagle became the first independent airline in the UK to be awarded a licence by the newly constituted Air Transport Licensing Board (ATLB) to operate a scheduled service on the prime Heathrow — New York JFK route, but the licence was revoked in November 1961 after main competitor, state-owned BOAC, appealed to Aviation Minister Peter Thorneycroft. On 5 May 1962, the airline's first 707 inaugurated scheduled jet services from London Heathrow to Bermuda and Nassau. The new jet service — marketed as the Cunarder Jet in the UK and as the Londoner in the western hemisphere — replaced the earlier Britannia operation on this route. Cunard Eagle succeeded in extending this service to Miami despite the loss of its original transatlantic scheduled licence and BOAC's claim that there was insufficient traffic to warrant a direct service from the UK. A load factor of 56% was achieved at the outset. Inauguration of the first British through-plane service between London and Miami also helped Cunard Eagle increase utilisation of its 707s. BOAC countered Eagle's move to establish itself as a full-fledged scheduled transatlantic competitor on its Heathrow—JFK flagship route by forming BOAC-Cunard as a new £30 million joint venture with Cunard. BOAC contributed 70% of the new company's capital and eight Boeing 707s. Cunard Eagle's long-haul scheduled operation — including the two new 707s — was absorbed into BOAC-Cunard before delivery of the second 707, in June 1962. [nb 1] BOAC-Cunard leased any spare aircraft capacity to BOAC to augment the BOAC mainline fleet at peak times. As part of this deal, BOAC-Cunard also bought flying hours from BOAC for using the latter's aircraft in the event of capacity shortfalls. This maximised combined fleet utilisation. The joint fleet use agreement did not cover Cunard Eagle's European scheduled, trooping and charter operations. However, the joint venture was not successful for Cunard and lasted only until 1966, when BOAC bought out Cunard's share. Cunard also sold a majority holding in the remainder of Cunard Eagle back to its founder in 1963. All ships of this period had wooden hulls and paddle wheels. Only Arabia had a wooden hull and only Arabia, Persia and Scotia had paddle wheels. Ausonia 1909 1911–1918 Intermediate 7,907 Ex-Tortona built for Thompson Line, purchased by Cunard 1911, sunk by SM U-62 30 May 1918. Royal George 1916 1916–1920 Intermediate 11,142 Served on the Liverpool to New York route. Scrapped 1922. Alaunia 1925 1925–1944 Intermediate 14,000 Sold to Admiralty 1944, scrapped 1957. See also: White Star Line's Olympic, Homeric, Majestic, Doric, Laurentic, Britannic and Georgic. After Trafalgar House bought them in 1971, Cunard operated the former company's existing hotels as Cunard-Trafalgar Hotels. In the 1980s, the chain was restyled as Cunard Hotels & Resorts, before folding in 1995. ^ "Company news; Carnival to buy remaining stake in Cunard Line". ^ "Cruise Line 'Awaiting Further Updates' On Law". 13 December 2017. ^ a b c By Jonathan Bell (21 October 2011). "Luxury cruise ship line Cunard switches to Bermuda registry | Bermuda News". Royalgazette.com. Retrieved 7 November 2012. ^ a b c d e f g h i j k l m n o p q r s t u v Gibbs, Charles Robert Vernon (1957). Passenger Liners of the Western Ocean: A Record of Atlantic Steam and Motor Passenger Vessels from 1838 to the Present Day. John De Graff. pp. 52–92. ^ https://www.cunard.com/en-au/cruise-types/event-cruises/cunard-southampton-centenary-celebration Cunard Southampton Centenary. ^ https://www.chriscunard.com/home/history-fleet/cunard-southampton-centenary/ Cunard Centenary on Chris Cunard Page. ^ a b c d e f g h i j k l Maxtone-Graham, John (1972). The Only Way To Cross. Collier. ^ "2012 World Wide Market Share". Cruise Market Watch. 20 November 2011. ^ Parry, Ann (1963). Parry of the Arctic. London. ^ Grant, Kay (1967). Samuel Cunard. London. ^ a b c d e Langley, John G. (2006). Steam Lion. Nimbus. ^ Beck, J. Murray (1984). 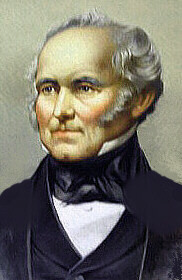 Joseph Howe, Conservative Reformer. McGill-Queens. ^ a b c Arnell, J.C, (1986). Steam and the North Atlantic Mails. Toronto. ^ a b c d e f g Fox, Stephen. Transatlantic: Samuel Cunard, Isambard Brunel and the Great Atlantic Steamships. ^ Body, Geoffey (1971). British Paddle Steamers. Newton Abbot. ^ a b c d Bacon, Edwin M. (1911). Manual of Ship Subsidies. ^ Corlett, Ewan (1975). The Iron Ship: the Story of Brunel's ss Great Britain. Conway. ^ a b c d e Fry, Henry (1896). The History of North Atlantic Steam Navigation with Some Account of Early Ships and Shipowners. London: Sampson, Low & Marston. OCLC 271397492. ^ a b c d e Miles, Vincent (2015). The Lost Hero of Cape Cod: Captain Asa Eldridge and the Maritime Trade That Shaped America. Yarmouth Port, Massachusetts: The Historical Society of Old Yarmouth. ^ The National Archives, BT107/202, Beaumaris 1830 No. 24, 132'2" x 20'6" x 12'8", 138 tons. ^ a b c d Kludas, Arnold (1999). Record breakers of the North Atlantic, Blue Riband Liners 1838–1953. London: Chatham. ^ Preble, George Henry; John Lipton Lochhead (1883). A Chronological History of the Origin and Development of Steam Navigation. Philadelphia: L.R. Hamersley. OCLC 2933332. ^ "Cunard History at a Glance" (PDF). Archived from the original (PDF) on 26 March 2009. Retrieved 13 March 2009. ^ "The Red Baron of Bearsden". Milngavie Herald. 14 December 2006. Retrieved 17 February 2010. ^ Hyde, Francis E (18 June 1975). Cunard and the North Atlantic 1840–1973: A History of Shipping and Financial Management. ISBN 9781349023905. ^ "75,000-Ton Vessel to Replace Queen Mary Is Urged in Britain". New York Times. 2 June 1960. ^ "Queen Mary Plan Draws Protests". New York Times. 15 June 1961. ^ Horne, George (9 April 1963). "Cunard's Decision on New Liner Is Due by Board Meeting in June". New York Times. ^ a b "Air Commerce". Flight International. 18 May 1961. p. 683. Archived from the original on 6 October 2012. ^ "British Eagle's Whispering Giants". Airliner World: 42–48. February 2015. ^ "The Independent Challenge ." Flight International. 17 August 1967. p. 247. ^ "The Home of Eagle ... — Cunard Eagle Route Map". britisheagle.net. ^ Blair, Granger (16 September 1964). "BOAC buys out Cunard's Share". New York Times. ^ "Mauretania – ship [1906–1935]". Encyclopedia Britannica. ^ Monopolies and Mergers Commission (1984). "Appendix 3: Trafalgar House plc: composition of fleet in 1971 and 1983". Trafalgar House plc & Peninsular and Oriental Steam Navigation Company: A report on the proposed merger (PDF). pp. 77–79. ^ "A Full Log of Sailings". New York Times. 21 November 1982. ^ "French Missiles En Route to Argentina". New York Times. 19 November 1982. ^ "Cunard Purchase". New York Times. 12 May 1983. ^ Monopolies and Mergers Commission (1984). Trafalgar House plc & Peninsular and Oriental Steam Navigation Company: A report on the proposed merger. ^ "Trafalgar bid for P&O". New York Times. 15 March 1984. ^ Co, Lakeside Publishing (November 1993). "Cruise Travel". ^ McDowell, Edwin (19 October 1994). "Cruise lines sail through choppy seas". New York Times. ^ McDowell, Edwin (6 August 1996). "Chief's Strategy for an Ailing Cruise Line". New York Times. ^ "Carnival in $500 million deal to buy Cunard". New York Times. 4 April 1998. ^ "Carnival to buy remaining share in Cunard". New York Times. 20 October 1999. ^ Butler, Daniel Allen (2003). The Age of Cunard. Lighthouse Press. ISBN 978-1-57785-348-0. ^ McDowell, Edwin (19 August 1999). "Carnival's Cunard cruise line plans to spend 12.5 million to stress a touch of class". New York Times. ^ Wakin, Daniel (19 August 2001). "Restoring the Queen's Glamour". New York Times. ^ "Carnival may sell unit to complete takeover". New York Times. 28 May 2002. ^ Kapner, Suzanne (25 October 2002). "End is seen in long battle for cruise line". New York Times. ^ "Carnival to move Cunard line's operations to California". New York Times. 12 July 2004. ^ Keith Hamilton (20 July 2009). "Carnival UK moves into new Southampton headquarters". Retrieved 27 August 2010. ^ Santos, Fernanda (4 January 2008). "Three Seafaring Queens Spend a Day in New York". New York Times. ^ a b "Queen Elizabeth: Cunard liner returns for celebrations". BBC News. BBC. Retrieved 3 July 2016. ^ MacAlister, Terry (28 October 2011). "Cunard waves goodbye to Britannia after 170 years". The Guardian. London. ^ "Cunard liners mark 175th anniversary in Liverpool". BBC News. ^ a b c d e f g h i j k l m n o p q r s t u v w x y z aa ab ac ad ae af ag ah Wills, Elspeth (2010). The Fleet 1840-2010. London: Cunard. ISBN 978-0-9542451-8-4. ^ "Queen Mary 2 Guests to Be First to Board the QE2 Hotel in Dubai". Hotel News Resource. 17 April 2018. Retrieved 20 September 2018. ^ "Carnival Corporation Intends to Build a New Cruise Ship For Cunard | CruiseBe". CruiseBe. Retrieved 19 January 2018. ^ "Financial Times , 1977, UK, English" – via Internet Archive. ^ a b New York Media, LLC (12 June 1972). "New York Magazine". ^ "BUTCH STEWART TO OWN AND OPERATE TWO HOTELS IN BARBADOS". suntci.com. ^ Earl g. Graves, Ltd (May 1973). "Black Enterprise". ^ Sandals Regency La Toc Golf Club. ^ Carr, Stanley (1 November 1992). "WINTER IN THE SUN; Carribean [sic] Resorts: The High Points" – via NYTimes.com. ^ "Billboard". Nielsen Business Media, Inc. 26 December 1974. ^ "Asbury Park Press from Asbury Park, New Jersey on June 10, 1984 · Page 181". Newspapers.com. 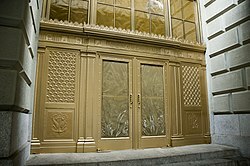 ^ "London Ritz Is Sold; New Owners Pledge To Retain Elegance". 27 March 1976 – via NYTimes.com. ^ "Ailing Trafalgar sells the Ritz". The Independent. 7 October 1995. ^ a b "Terry Holmes - Executive Director, The Red Carnation Hotel Collection". Red Carnation Hotels. ^ "Change at Dukes 'is modernisation'". thecarterer.com. 2 June 1994. Retrieved 17 February 2019. Bombail, Marc-Antoine; Gallagher, Michael (2017). Cunard: The Fleet Book. Ramsey, Isle of Man: Ferry Publications. ISBN 9781911268062. Wikimedia Commons has media related to Cunard Line ships.